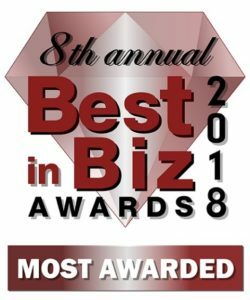 Best in Biz Awards, the only independent business awards program judged each year by prominent editors and reporters from top-tier publications in North America, today announced the winners in its 2018 competition. As in previous years, the 8th annual program featured a diverse and distinguished judging panel comprised of top-tier press who evaluated and scored close to 700 hundred award nominations to select the very best in North American business. Once again, Best in Biz Awards recognized the most awarded companies in this year’s competition using a weighted-medal point system. The top spot this year went to Aflac, having won honors in 4 categories (9 points). IBM and Makers Nutrition tied for the second place, with 8 points each, and four companies tied for the third place, with 7 points each: EMKAY, RB, Reservations.com and Resolute Forest Products. Car rental is a natural extension of our offerings..